Driving in adverse weather conditions is not recommended and you should avoid it if you possibly can. However, sometimes you simply don’t have a choice. If that happens, you need to know what to do, so here are some tips you may find useful. Even though it seems like a harmless option, driving in bright sun can have its downsides too. The brightness can impact your vision and endanger you and other people in traffic. Therefore, it’s important to wear sunglasses and use your visor when you need it. In addition, you need to be careful and expect the Sun to reflect of glassy surfaces, such as your rearview mirrors. If you experience any discomfort, slow down and change the angle of the mirror enough to avoid the reflection. If you’re driving through fog, your vision is very limited, so make sure you slow down as much as you need to in order to be comfortable and safe. Make sure you use the appropriate lights – fog lights are yellow instead of white, so they cut through the fog a bit more easily. If in a pickle, you can use your low beams instead, but refrain from using the high beams. The bright light they provide will reflect on the tiny water drops in the air, and make it even more difficult to see. Use your windshield wiper from time to time, because even if you can’t tell, the condensation forms on the glass and it further limits your vision. Also, pump your brakes when you’re entering a fog bank, in order to signal the drivers behind you to keep their distance. Rain may not seem dangerous, but it can cause some issues. When driving in heavy rain, your ability to see the road in front of you is reduced, so you need to slow down a bit. It will also help avoid skidding. Be especially careful when the rain starts, because the oil on the road gets mixed up with water and the surface of the road tends to get really slippery. 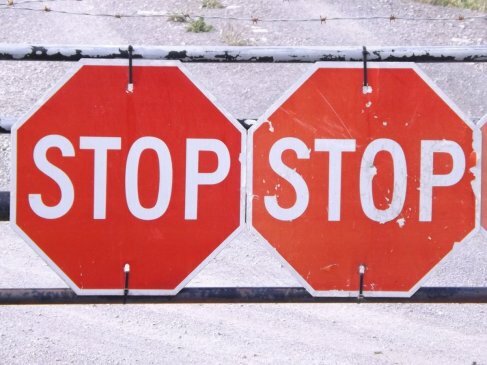 If there is heavy rain, avoid any flooded areas of the road, because there’s no way to tell how deep the water is, and if the water enters the air-intake valve on your car, the car will most likely stop in the middle of the road. Winter conditions are probably the most dangerous ones when it comes to driving. First of all, you need to slow down. Drive at least 10 miles below the speed limit, or keep reducing the speed until you feel comfortable. Be on the lookout for black ice. It’s practically invisible but extremely slippery, so don’t take any chances. It appears in shadows and on bridges, so be especially careful in those environments. Avoid tailgating, and always keep a safe distance from other cars, because you may have difficulties slowing down and stopping. If your car starts skidding, stay focused and turn gently in the direction it’s skidding, and that will cancel out the skid. Don’t use the high beams, as they can be reflected on the snow, and make it even more difficult to see. If the road is not cleaned, be aware of the fact that snow and slush can form a really slippery surface, so be careful and slow down. If you’re driving on what looks like ice, make sure to drive slowly and give your car enough time to brake or stop. In the event that you get stuck in the snow, make sure that the exhaust pipe is exposed, to avoid the emission of poisonous carbon monoxide into the car. Use the floor mats to try and move your car away from the snow pile. If despite all caution you get in trouble, try to stay calm. Make sure your car is out of the way of traffic, and make it visible using your hazard lights. Call for help, and wait by the car, because it’s easy to get lost in adverse weather conditions. Fix everything that has suffered as soon as you get the chance. Visit professionals like New Image Auto Glass to fix or replace your broken windshield, in order to avoid reducing the visibility even more in the future. Change any broken lights immediately, including the ones for fog, because you never know when you’ll need them next. If you know you’ll be driving in bad weather, prep your car in advance. Inspect the windshield wipers, and clean the covers of the headlights. Check your tires, and replace them if you’re worn down. 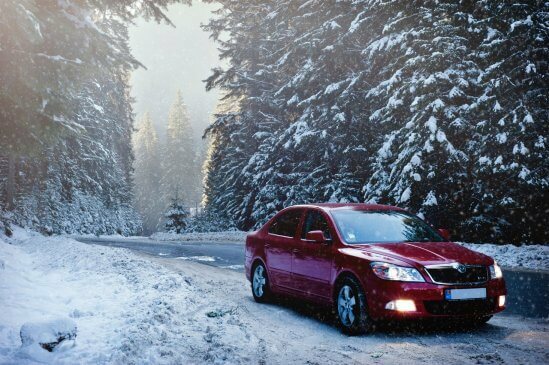 Have your car winter-serviced, and always have your emergency kit in the car. 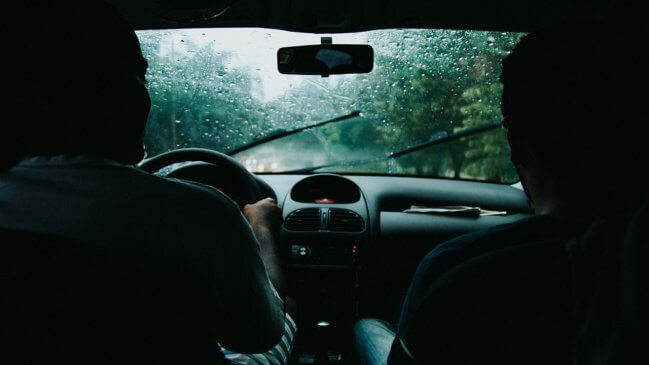 Even though driving in bad conditions may be challenging, you can make sure you’re as safe as possible by taking a few precautions and staying as calm as possible in the face of a crisis.